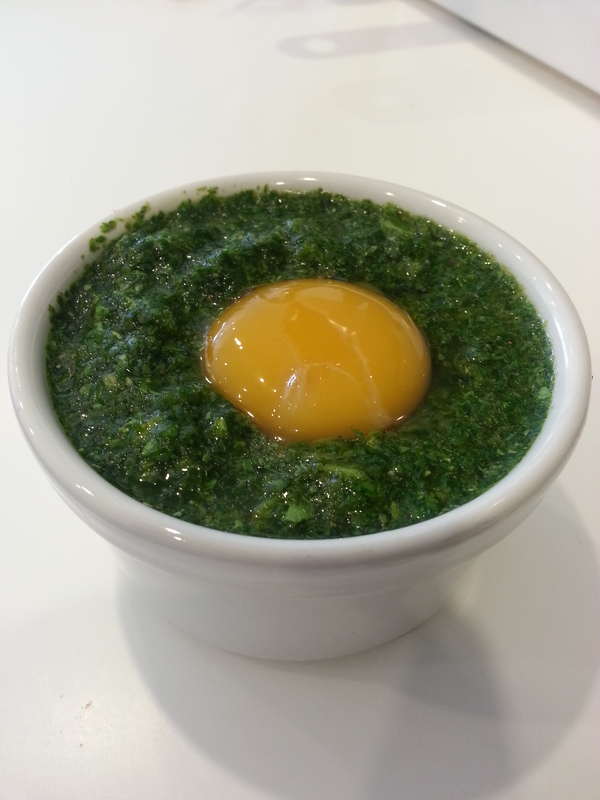 What do you do when you have a lot of watercress (or other salad leaves) you need to use up? Well, in the case of spinach or kale I would probably throw it all into a big smoothie with some coconut water…but that probably wouldn’t be very tasty with watercress, regardless of how much I love it normally. So…I used it in a savoury recipe instead. I blended it with some chicken stock, a small pinch each of nutmeg, black pepper, turmeric and paprika and the white of a duck egg. 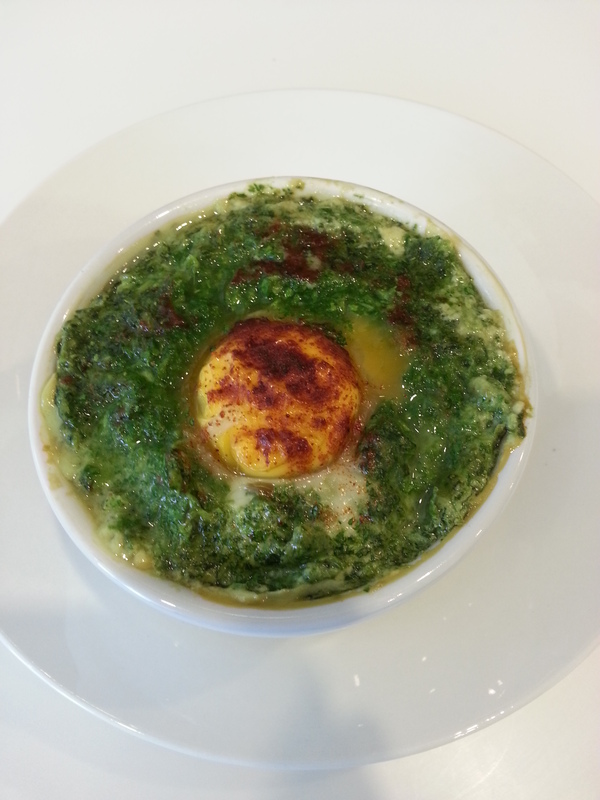 I then poured in the yolk and baked for about 16 minutes at 180 C (until the yolk was warm but runny). This was a really yummy (and different!) mid-morning snack. Posted in breakfast, eggs, snackTagged egg, watercressBookmark the permalink.